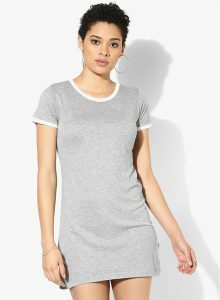 Jabong is one of the best online clothing websites that caters to the need of the peoples fashions requirements. 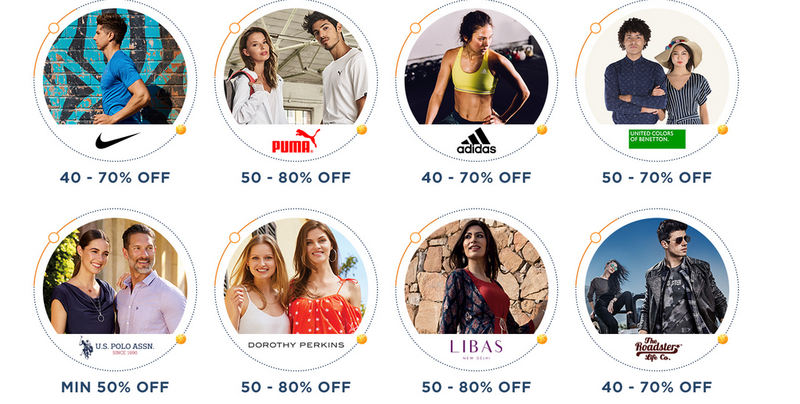 The 4th edition of fashion online retail platform Jabong’s Big Brand Sale will be held from July 27-30, they will offer 100% cashback in ‘Jabong points’ to all customers. Get an additional cashback of 6% with PaisaWapas offers . The four-day sale will have discounts ranging from 55-80 per cent across all product categories. Jabong is offering four lakh styles from over 3,000 brands. Sale prices will be revealed at 7 p.m. on July 24 and customers can continue to wishlist till July 26 7 p.m. Jabong will start allotting the VIP slots to select consumers who can buy the wishlisted products from 7-11 p.m. on July 26 before the sale goes live. Shoppers can also earn their slots by wishlisting or playing games on the Jabong. Jabong has come up with the hottest sale in town. They have brought together the best brands and provided offers on each brand making them exclusively for Jabong. Jabong have got offers on brands like Puma , Adidas, The united colors of Benetton, Libras, Lakme etc. What makes this better? 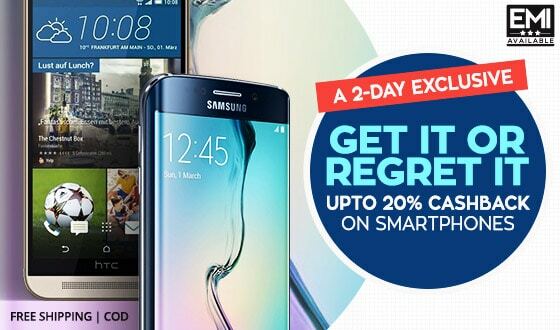 along with these offers they provide a cashback offers for all the HDFC bank customer holders. Jabong Offers are not over yet. Get a cashback of 10% on a purchase of minimum 3000/-. The maximum cashback percent will be Rs.750/-. The offer period of the offer will be 26th July 2018 (from 19:00 hrs) till 31st July 2018 (23:59 hrs). The cashback value will be calculated o the basis of the net amount of transaction. An essential part of your wardrobe definitely is a good pair of jeans. All your clothing pieces can be pared with a pair of jeans and so you should have a pair of jeans for sure that fits you perfectly and goes well with your outfits. The glamorous Moda Rapido skinny jeans will help you get the style you’ve been looking for. Wear yours with espadrilles and a sun hat when you’re heading to the beach with your friends.